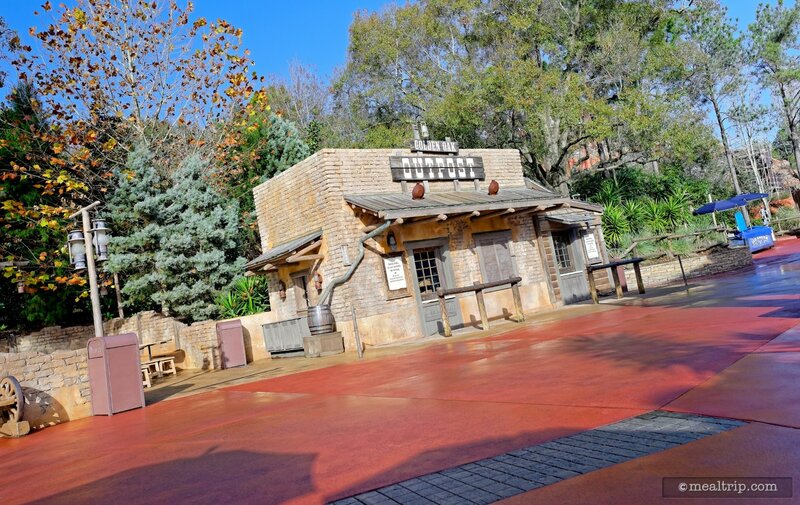 The Golden Oak Outpost listing is a Kiosk or Cart dining location at Magic Kingdom featuring American cuisine. There are 7 photos in the Mealtrip photo gallery for this location and dining period. 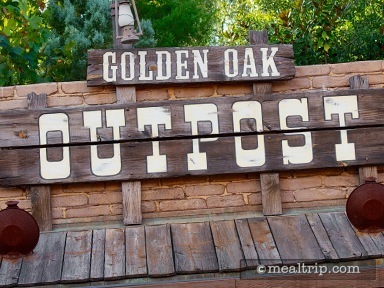 The Golden Oak Outpost listing currently has a score of 78 out of 100. Click here to read all of the reviews for this location, or log in to Mealtrip.com to add your own review for Golden Oak Outpost. Sign above the old-west style Golden Oak Outpost eatery. 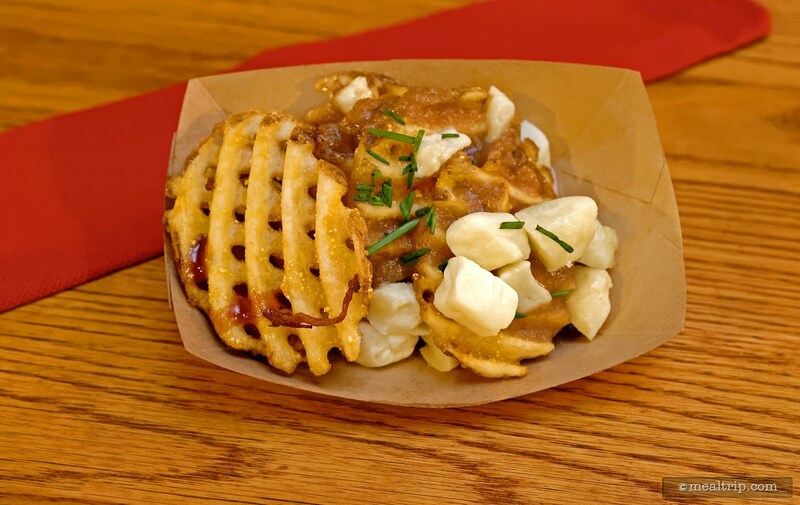 Brown Gravy and Cheese Waffle Fries from the Golden Oak Outpost at the Magic Kingdom. 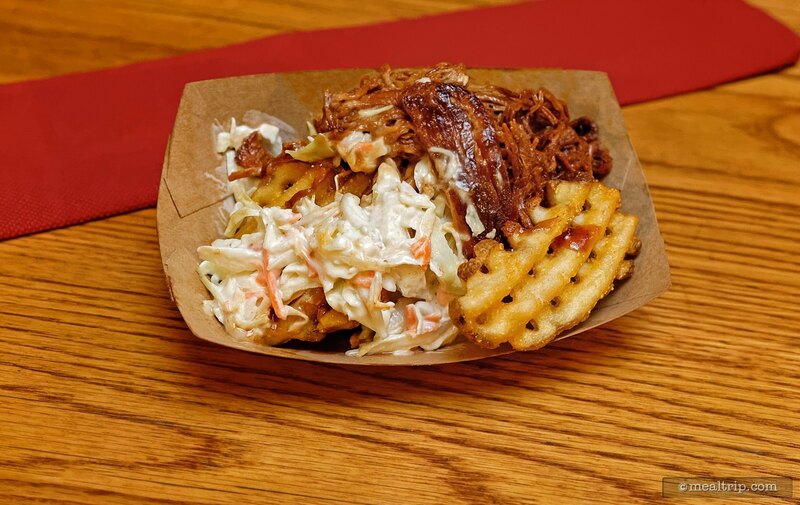 Barbecue Pork Waffle Fries from the Golden Oak Outpost. 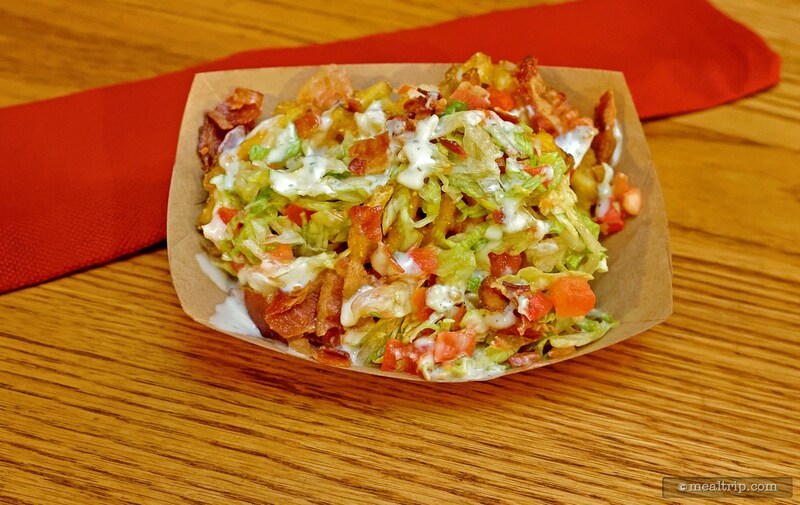 BLT Waffle Fries (Waffle Fries topped with Bacon, Lettuce, Tomato, and Ranch Dressing), from the Golden Oak Outpost. 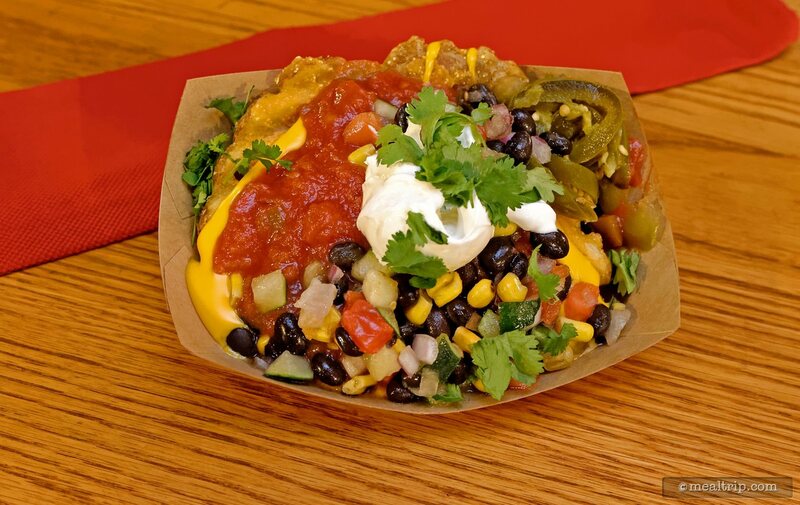 The Golden Oak Outpost's Tex-Mex Waffle Fries. 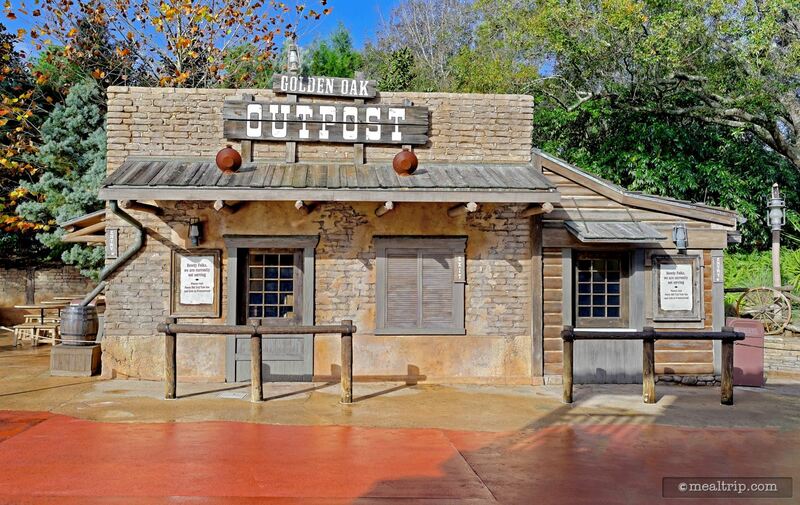 The authentic looking Golden Oak Outpost kiosk is located on the pathway from Frontierland to Adventureland at the Magic Kingdom. 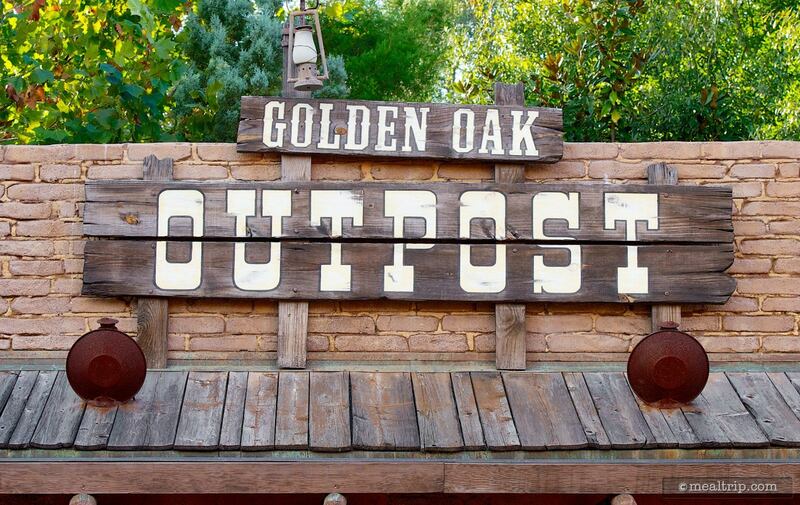 There's a small uncovered seating area to the left of the Golden Oak Outpost kiosk.